Apple is considering a dramatic overhaul of its iTunes music store as iTunes Radio has failed to stop declining music downloads, reports Billboard. As reported earlier this year, the company may create an on-demand music streaming service similar to Spotify in order to boost sales as well as an Android iTunes app. 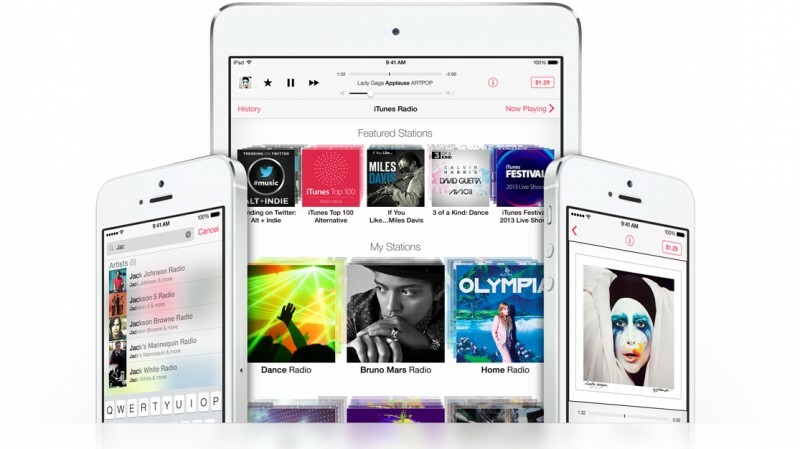 "iTunes Radio hasn’t solved the problem of refreshing the iTunes store," said a senior label executive. "While listeners are clicking the buy buttons, the traffic it is driving is in the low single digits of listeners." Only one to two percent of iTunes Radio listeners go on to buy songs and digital music sales were down some 5.7 percent in 2013, according to a January report. Overall music downloads have been declining upwards of 15 percent while iTunes is also losing money to competitors like YouTube, Spotify, and Pandora. iTunes still accounts for upwards of 40 percent of U.S. music sales revenue and iTunes Radio is the third largest music streaming service after Pandora and iHeartRadio, but it has not thus far generated the sales that Apple expected. According to the report, Apple's options for improving iTunes are being debated internally and among the company's content partners as it works to overcome competition from Android and an increasing consumer preference for streaming music services. Meanwhile, in the U.S., Apple is losing its most valuable customers. "Two-thirds of its high-value customers are now in subscription services," said one source. "That has been an eye-opener for them." While iTunes Radio allows users to create radio stations based on song selections, an on-demand service similar to Spotify would potentially allow users to select songs at will and could carry a monthly fee. iTunes Radio is available for free and supported by ads, with Apple also making its iTunes Match service available to customers. With an on-demand subscription service, Apple could supply all music models customers are interested in, offering a la carte downloads via iTunes, free music via iTunes Radio, and a premium on-demand service. According to one music executive, Apple has radical plans for iTunes in store, which could lead to a "completely different" experience in three to five years. Apple has certainly let the music world zoom past them in terms of subscription services. Or maybe don't charge $1.29 per song? I can pay $0.99 for an app that'll entertain me some hours or a $1.29 for a song that's 3 minutes long. It's just not a good deal. I don't know why they'd expect streaming to drive sales. The main appeal of streaming is that people can hear the music without having to buy it, why pay when you can get it somewhere (and now somewhere legal) for free? Maybe the industry should make better music. I'm 25, and when I saw a special on the Beatles' 40th anniversary this past year I thought "Good lord....they had the Beatles back in the 60s. We have Justin Bieber." I swear, I about cried. The main reason music downloads/purchases are declining is because, at this point, most people have already filled-in/built-out their core music libraries. All their CDs have been ripped and gaps filled in with online downloads. All that's left for most people to buy anymore is new stuff, which, let's face it, is mostly crap. Fix the music app, not iTunes. That said, the music subscription services hardly make money at all, whereas Apple is still winning (money-wise) with the old business model. ...And that said, I've paid probably over 100 euros to Spotify and bought maybe 3 songs from Apple. I just find monthly payment for unlimited listening is my thing, like it for so many other people today. I'd be happy to replace Netflix and Spotify with a combined offering from Apple though. iTunes needs to offer at least CD quality music, prefer HD music! iTunes needs to offer at least CD quality music (16 bit, 44.1kHz), although I prefer they would offer HD music files (24 bit, 96khz or 192kHz)! Why not, at least offer better quality music for those that want it? If I want to own the music I rather go through the small hassle of buying the CD and ripping it into iTunes as an Apple Lossless format. Going that route is not even more expensive, just more work.